Big Bazaar has announced 'Free Shopping Weekend', a three-day event from March 23 to March 25. 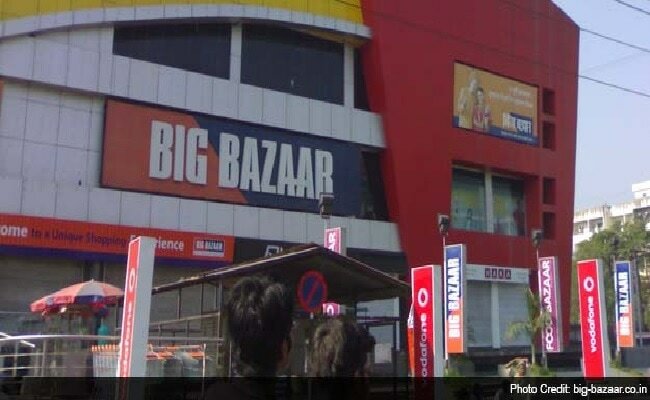 Big Bazaar' Free Shopping Weekend will be held across more than 250 stores in the country, the Future Group hypermarket chain said in a statement dated March 21. During the three-day period, customers shopping for Rs 2,000 and above will get the same value "back through free Grocery products, Apparel, Home & Kitchenware shopping vouchers", it noted. Big Bazaar is the flagship hypermarket retail chain from Future Group. 1. Big Bazaar said its first ever Free Shopping Weekend will be from March 23 to March 25. 2. Customers need to shop for Rs. 2,000 and will get the entire value back through apparel vouchers worth Rs. 1,000, home and kitchenware vouchers worth Rs 500, and free grocery products worth Rs 500, Big Bazaar said in the statement. 3. In addition to the benefits worth Rs 2,000, Big Bazaar is offering a cashback of Rs 500 to all new users of Future Pay, a digital wallet offered by Future Group. This offer is is valid on shopping of a minimum of Rs 2,000, it said. 4. "...The 3 days of Free Shopping Weekend will give our customers more power to shop and enjoy stress free shopping. Customers can shop two times of the same value they spend and purchase even more from our wide range of products," said Big Bazaar CEO Sadashiv Nayak. 5. "We invite our customers to come and make the most of this first of its kind offer," Mr Nayak added. 6. The Free Shopping Weekend will offer the best deals on a wide range of products including staples, food, spices, tea, beverages, apparel, footwear, home care products, kitchenware, Big Bazaar said. 7. Customers who do not want to miss the Free Shopping Weekend offer can pre-book by purchasing a ticket for Rs 100, according to Big Bazaar. 8. Big Bazaar also shared a link to its website for registering a pre-booking. 9. Additionally, Big Bazaar has partnered with RuPay to extend 10 per cent discount on all debit and credit cards purchases, the statement added. 10. Big Bazaar has presence in over 124 cities across the country.